Barça Lassa won its second game in a row in the Liga ACB on Thursday night, beating BAXI Manresa on the road, 88-78, behind a great start and even better fourth quarter. Kyle Kuric and Ante Tomic led the way in a game in which Kevin Séraphin made his return to action after ten months on the sideline with a knee injury. Tomic helped Barça get off to a hot start at the Nou Congost in the Bages capital, winning inside position early and often as the blaugranes ran out to a 35-18 lead after just 15 minutes of play. Manresa was able to trim the lead to 10 points by halftime, with the score 47-37. Solid shooting by Barça allowed them to maintain a double digit lead midway through the third quarter, but Manresa went on a 15-2 run late in the third to come to within a point at 60-59. 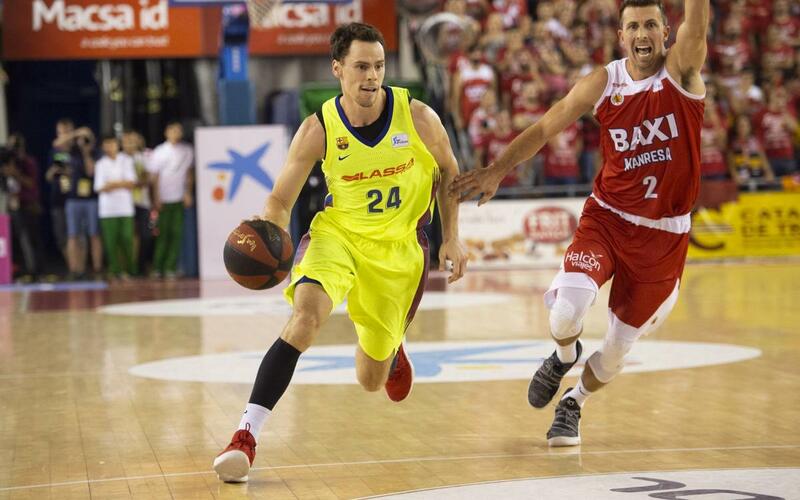 Barça Lassa, however, made a run of their own at the start of the fourth, with Jaka Blazic dropping a three and Pierre Oriola scoring six straight points to extend the Barça lead to eight at 69-61. Barça wasn’t finished, however, and down the stretch more lights out shooting from beyond the arc by Kevin Pangos and Chris Singleton put the nail in the coffin.